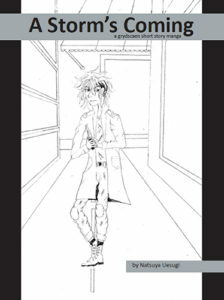 Noiz and Shiro Ijima are working on the Fissure manga and have been working diligently to get the manga created. They have been dancing around each other since the work started. Shiro is jerking Noiz around and using him for his own games. Noiz hangs on his every word trying to keep Shiro engaged. Can their relationship survive as they work on the manga. 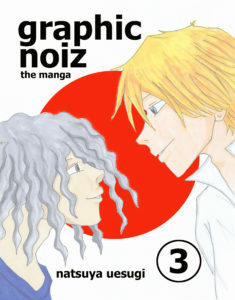 Noiz is anxious as he becomes more involved in the manga artist community which calls him "gaijin" ridiculing his art. Doubting his talents, Noiz goes on a journey of acceptance and self-discovery as he continues work as a hafu on the Fissure manga. Rom is a homeless teen living on the streets. His life is full with dumpster diving, panhandling, sleeping in the subway and trying to stay alive on the harsh streets of the Echelons. Targeted by a psychic killer, Rom must rely on Zone Police officer Xander Storm to keep him alive as the killer stalks him in the Red Light District. 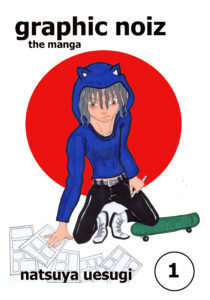 Rom is a homeless teen living on the streets in the Red Light District. As the sun sets curfew kicks in for the night. Can Rom survive the evening without getting caught by the Zone Police? 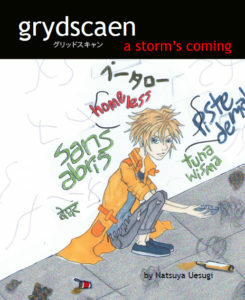 The grydscaen graphic novel features the story from grydscaen: beginnings. 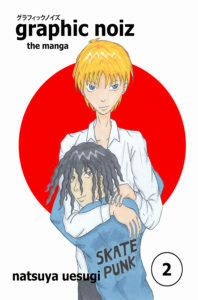 Fully illustrated in colour, it tells the backstory to the grydscaen series and features the hackers Faid and Acolyte of the Packrats. 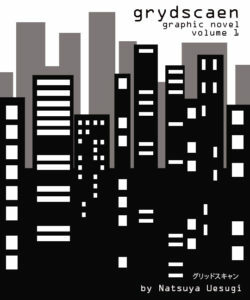 The first of a four volume series.